We,-INO Networks Group-, are proud to present STRATEGY FOCUSED agent networking groups since we serve in boutique and concept approach. There are three agent network organizations under "INO Networks Group" and all of them are INDEPENDENT from ONE ANOTHER. Each group serves to different needs and strategies of freight forwarders and logistics companies. "Freight Midpoint" is one of our organizations under "INO Networks Group" and it serves to "Annual Conference and Protection Focused Strategy" which you can find out more details in this website. You may have couple of strategies to manage your global agent network strategy and we are able to assist you in professional way with our tailor made approach regarding your needs. We do not encourage our members to join an additional organization since we want them to focus on their current partners in Freight Midpoint. Each group has separate body from one another and has different features. Please note that once you joined one of them, it DOES NOT mean that you are the member of other organizations. "FM-Freight Midpoint International Forwarders Network" was established by International Network Organization Limited (INO Networks Group) in mid of 2013 to serve Annual Conference and Protection Focused Strategy of freight forwarders and logistics companies. Today, FM has more than 220 members from 74 different countries and participations are increasing day by day from all over the world. FM has already taken his place in global agent network industry as one stop agent network solution since there is no agent network organization which satisfy companies' expectations as it does. 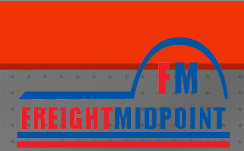 The main concern of agent networking should be meeting with LIKE-MINDED and DEDICATED partners so let us explain why you should join "Freight Midpoint". First of all, Annual Conference and Protection Focused Strategy should be understood well. Annual conference is one of the fundamental key success factors of agent networking as well as business networking. Agents who have this strategy would like to meet their partners one to one and face to face because they would like to catch human touch in their business relations and build the trust bridge between one another. Therefore, agents invest to travel (tickets), accommodation, memberships and registrations. However, they may not maximize their benefits from these meetings because of missing agents who do not join meetings regularly and do not care the network partners, namely because of passive ones or the agents who only wait for shipments. "Freight Midpoint" is the ultimate solution for this problem. Annual Conference is the part of Freight Midpoint Strategy..! Payment Protection Program is the tool which makes agents' hand strong in operation, marketing and pricing, namely in cooperation. It is good to know that you will be paid and there will be no delay in shipments. Definitely, you can manage effective marketing activities in your own country with this power. Freight Midpoint payment protection program is served through "INO Global Protection" which is the world's most transparent and effective system. One Stop Solution, FM accepts six members per city in a country. They are three main reasons for that which are vital for your success if you embrace "Annual Conference and Protection Focused Strategy"; First reason is that FM makes member agents able to reach every corner of a country and bring the opportunity to cooperate with agents who are in different types and capabilities. Second reason is that members are protected against hundreds of agents and get credit term from them. Third reason is that members maximize their benefits from Annual Conference because they meet hundreds there in one time. Instead of visiting your partners one by one in their own country, FM gathers your partners in one place in a certain time period, save money and time...! Please visit "Benefits and Advantages" page in this website to have more information. "3F-Freight Forwarders Family" is established in April, 2009 and it is one of the oldest organization under INO Networks Group. 3F hold seven annual general meeting till 2018 and all members have enjoyed from created family atmosphere in the group. There are more than 120 members in 3F and the member quantity limitation PER COUNTRY was decided by the member agents in 1st Annual General Meeting Istanbul, Turkey in 2009 via survey. All agents participated to this survey at that time and declared how many agents they would like to see in the concerned country. The maximum number of agents are in China and USA as five so most of the countries accept members LESS than FIVE. INO Global Protection available for "Freight Forwarders Family" together with Case and Claim Management which is attentive, efficient and professional service. Today, 3F has nine years background in the agent networking industry and it strengthens its position each passing year. Joining Annual General Meeting is compulsory in each three year. Please visit www.freightforwardersfamily.com to have more information. Glorious background promises new opportunities and partners to your esteemed company. "OPCA-Overseas Project Cargo Association" is the new vision in global project agent network organization through aiming to gather QUALIFIED and EXPERIENCED project, breakbulk, abnormal and heavylift cargo experts under its brand name. OPCA accepts only project freight forwarders and shipping companies who has success story in the project field as the member. Strict selection rules are formed by INO Networks Group for the continuous success of the members. OPCA members can enjoy from the highest level of payment protection program through INO Global Protection together with top priority in Case and Claim Management process. OPCA accepts new members by recommendation of current members or subject to AGM participation. Moreover, OPCA members are represented in worldwide known exhibitions and fairs by INO Networks Group regularly. If you would like to meet directly leading project experts, explore new opportunities and enlarge in project field, OPCA is your ultimate stop as global agent network organization. You are invited if you are the project expert. Please visit www.overseasprojectcargo.com to have more information. Copyright © 2011 - 2019 Freight Midpoint International Forwarders Network. All rights reserved.